The Public space is a platform for the diversity of the city. In cities we find a diversity of buildings in different architectural styles, we find a diversity of people and residents and we find many different uses of the public space. With the design of the public space we risk to over-accentuate this diversity. The challenge for the public space lies in binding all this diversity into one big whole. 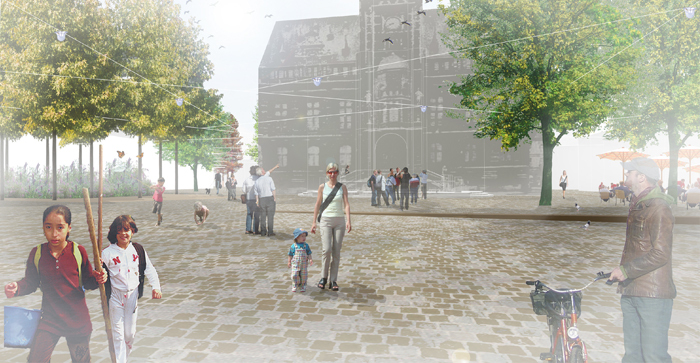 This way the public space can be the cement that holds the city together. This does not necessarily mean that the public space should be neutral. 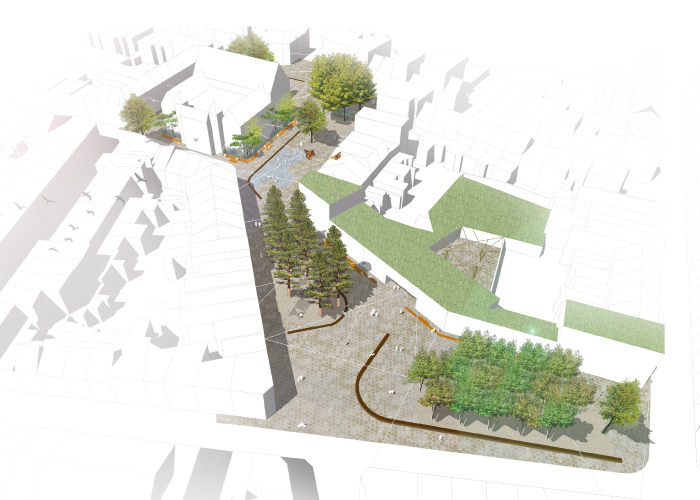 A homogenous space can be activated with well-aimed interventions like benches, vegetation and water features. 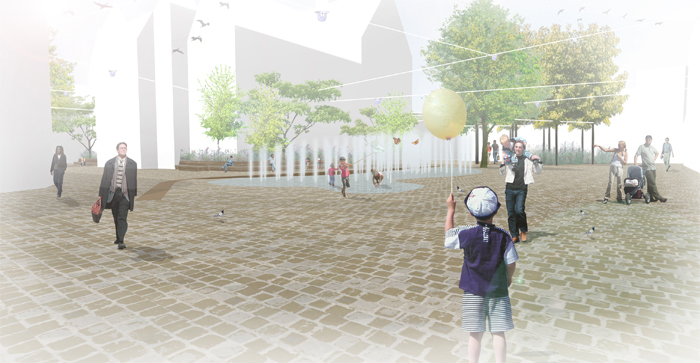 We are seeking to design an attractive public space that provokes and stimulates dwelling and social behavior. We have to carefully evaluate if adding new identity is necessary and which kind of identity is needed, depending on the context and its role in the city. Not every street or square needs a distinct identity. Otherwise we risk to end up with a patchwork or a chaos of different materials, challenging the legibility of the city as a whole. 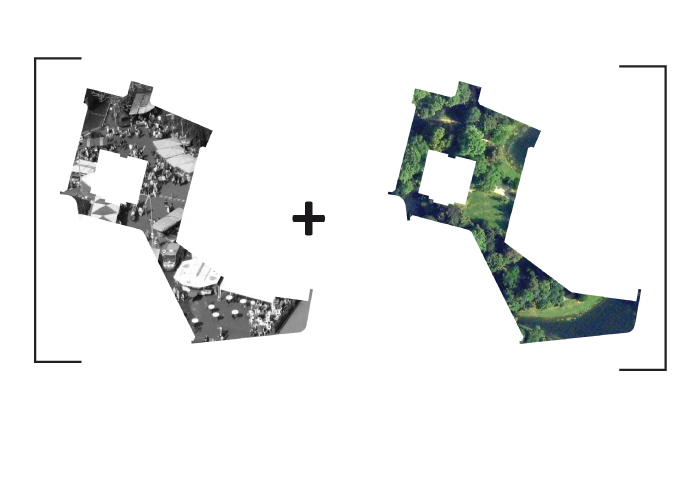 We see more possibilities in trying to limit the spatial impact of our interventions. An empty page allows anything to happen. An empty canvas for the theater of city life. A minimal design allow maximal flexibility, if it is done correctly. That’s why limiting the spatial impact of the design interventions is often the biggest challenge while designing a public space. How can we create a feeling of security and comfort? 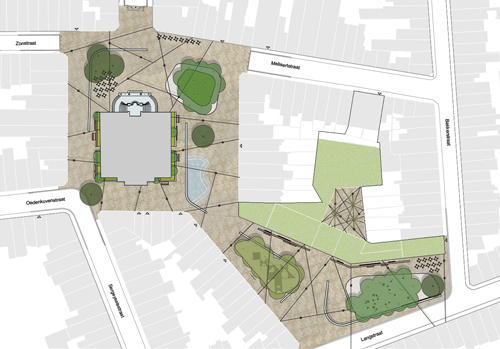 How can we make the public space legible enough to allow a mix of different uses? How can we assure accessibility for everyone at all times? These questions demand a made-to-measure approach and creative solutions. A good public space shouldn’t force people, but should create possibilities. That’s why we take care of not overdoing the furnishing, of not filling up the space. 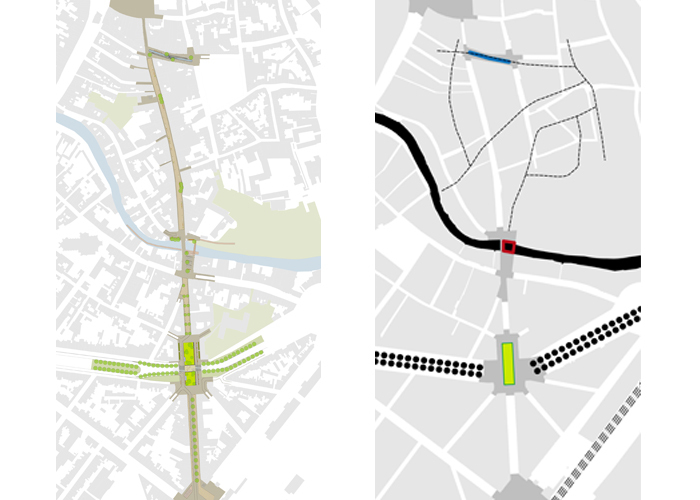 This was one of the main themes in our competition design for the redesign of the central shopping street from the train station to the main square in Mechelen. We were constantly searching for the equilibrium between making a continuous space from station to market and responding to the many different contexts and features that we encounter on the way. 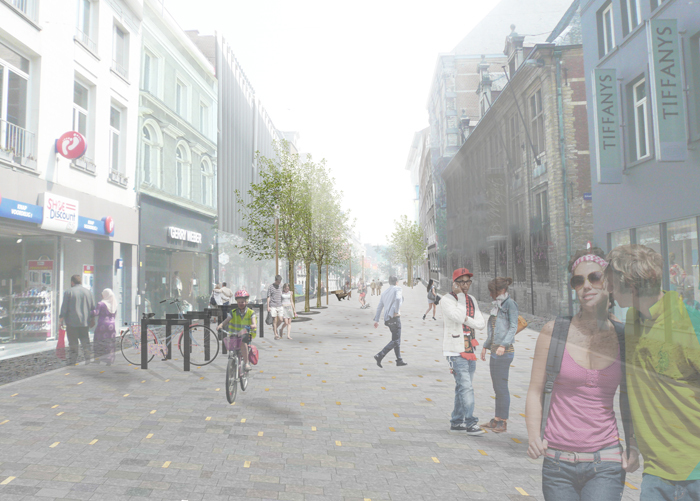 It was a big challenge to combine a very busy shopping street with other types of traffic in a safe and flexible street section. In our design for a new building block in Beveren, as show elsewhere on this page, we tried to create an event square with maximal flexibility as the central feature of the block. This flexibility was guaranteed in two different ways. The square needed to be sufficiently large and the square needed to be empty. With our design it can be used as a car parking, a market square, for temporary events or as a playground for children. The materials used and the furniture underline the comfort and introduce the human scale. 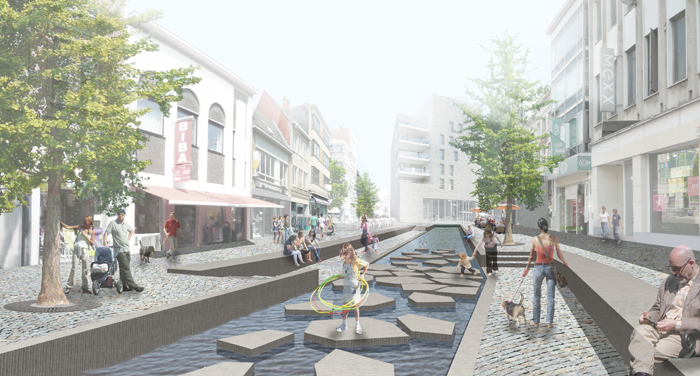 The images on this page show the competition proposal for the central shopping street in Mechelen.